Satisfy your dog’s inner hunter with new canned food with flavors straight from the woods! 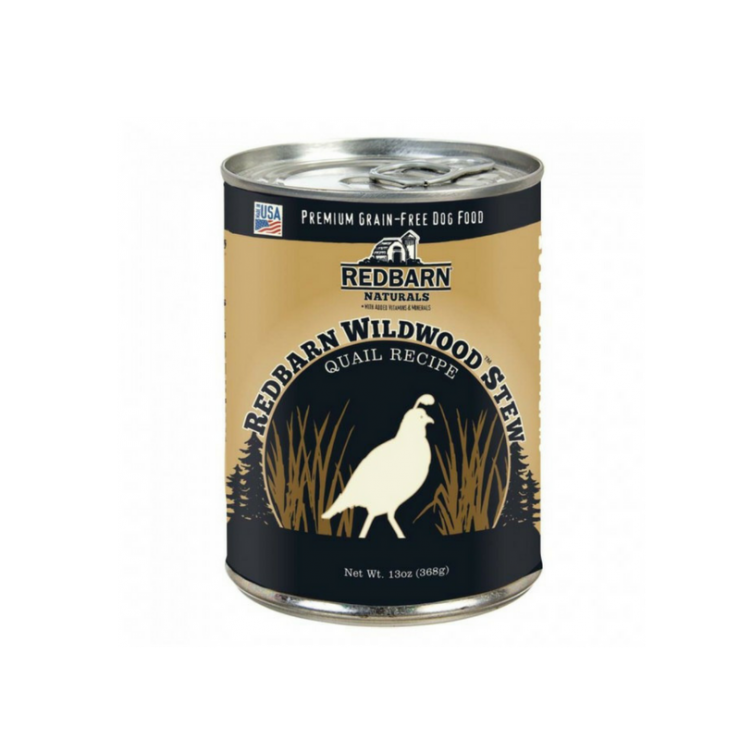 New Redbarn Wildwood Stews feature unique proteins like Quail in a delectable gravy that your dog will love! Like all recipes in the Redbarn Canned line, premium protein is the first ingredient. The new Redbarn Quail Wildwoods Stew Dog Food features added superfoods to support your dog’s health needs, like healthy teeth and bones. Dandelion Greens provide many vitamins and minerals and are high in protein. Salmon Oil, which is rich in Omega-3 Fatty Acids, may help to support healthy skin, coat, and joints. In addition to being rich in protein, new quail stew is free from grain, soy, and corn. A premium diet option for picky pets, Redbarn Wildwoods Stews also made in the USA, so you can trust the safety and quality in every can.